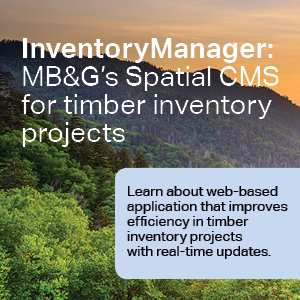 MB&G’s Spatial Content Management System (CMS) organizes, manages, and provides a web-based visual display for your natural resource data for increased efficiency, productivity, and collaboration. Our CMS framework is highly scalable, adaptable, and supports a wide range of data collection, storage, organization, and sharing workflows. The system is backed by Enterprise technologies including ArcGIS and Drupal, making our platform robust, scalable, extensible, and secure. Spatial CMS is built upon and extends the ArcGIS Platform by using ArcGIS Online to access and store spatial data. 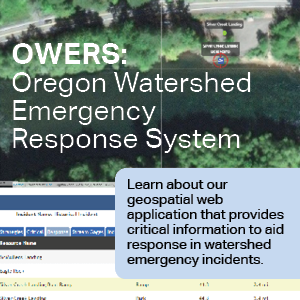 It also uses Esri web technologies to display maps in the application. 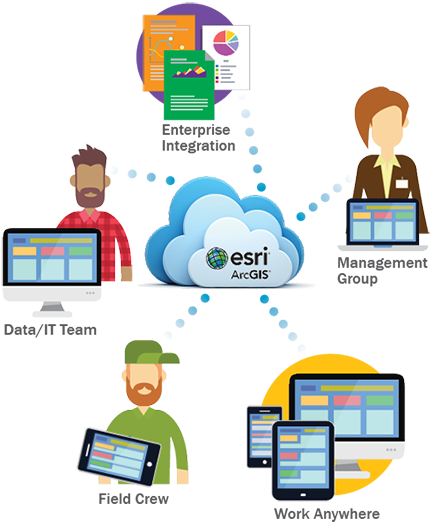 It extends Esri technology by enabling powerful photo, document, and data management and workflow capabilities. Offered as Software as a Service (SaaS), MB&G’s Spatial CMS enterprise data management solution that maximizes your organization’s existing investment in hardware, software, data, processes, and training. Spatial CMS is a modern tool to support visualization of business data and to convey complex ideas. Analyzing trends, logistics, and meaningful patterns in your data supports actionable insights, and even helps you anticipate future behavior. Our reports and charts provide a rich and graphic way to way to communicate and capitalize upon discovery. Photo Management - Spatial CMS provides automatic links to photos and their related spatial features. Surveyors can perform bulk photo uploads from their survey tablet or PC. Photos associated with selected features are automatically incorporated into the interface and can be opened at full resolution in a separate browser tab. Photo captions, bulk updating or deleting, and of course, selection of specific photos for reports, make sharing images more efficient. Documents Management - Permits, plans, lab results, reports, as well as feature-specific documents (forms, maps, notes, or any other legacy field data recorded using other software such as Word, Excel, or PDF) are now easily accessible and associated with select spatial data or maps. Workflow Tracking & Notifications – Spatial CMS enables users to track workflows and current status of project components and activity. A robust notification framework allows administrators to determine trigger events and customize notification messages for either email or SMS messages. Complex Relationships – Spatial CMS enables relationships between data from hosted Feature Services such as disparate geodatabases, existing portals, applications, and web services. It also supports more flexible data entry forms for items which are not necessarily associate with field collection, such as laboratory results.